All Aboard the Pikachu Train! Updated January 23, 2018 | Pokémon , TOHOKU I found it! It's been six years since the tsunami that swept across the coastal areas of the Tohoku region at 2:46 p.m. on March 11, 2011, as a result of a 9.0 magnitude earthquake. Kesennuma in Miyagi Prefecture suffered direct damage from the tsunami. However, one special electric Pokémon is here to help with the recovery. Climb aboard and read more! In order to encounter the popular train that is creating such a buzz, I first set off from Tokyo in the direction of Tohoku. 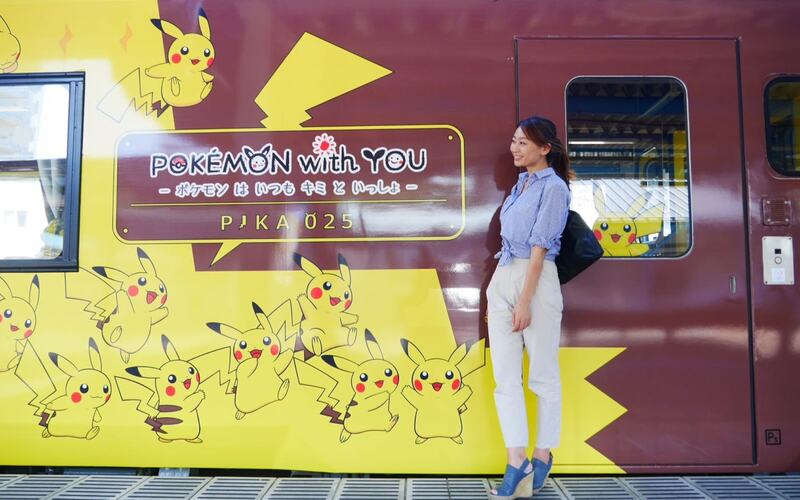 This year, the East Japan Rail Company updated its Pokémon with You train, featuring a Pikachu motif, and it has been widely talked about all over Japan. Pikachu fans from Japan and all around the world flock here for the chance to ride the Pikachu train. I rode the shinkansen from Tokyo for about two hours before arriving at Ichinoseki Station, the starting point for the Pikachu train. On exiting Ichinoseki Station, there is a big sign on which is written "Ichinoseki Hot Spring Resort." That's right, there is also a hot spring here. If you're tired on the way home, you can take a refreshing soak in the hot spring here. Walking a little further, I came across a map that showed the route from Ichinoseki to various tourist destinations. The Pikachu train was the highlight of this short trip. It runs on the Ofunato Line that connects Ichinoseki Station in Iwate Prefecture with Kesennuma Station in Miyagi Prefecture. I wondered, slightly impatiently, what I would experience on the bright, cheerful, little train as it slowly pulled into the station. If you have time before boarding, you should definitely get a photo together with the Pikachu train! The Pikachu peeping out of the window is so cute. Now, it's time to board! The carriages are divided into a seating area and a play area. This first picture is the seating area. Pikachu is featured everywhere. The train staff are also very enthusiastic and friendly, they also enjoy this kind of work. They told me, "It makes us happy to see all the children enjoying themselves." The rear carriage is a play area filled with Pikachu toys of all sizes. Both adults and children alike play here, enjoying the countryside scenery from the train windows. I felt happy after returning to my childhood. An interesting thing that sets the Pokémon with You train apart from ordinary trains is that it stops at each station for a little while, giving passengers time to get off and and collect a Pikachu stamp. This has earned the train a popular reputation year by year, bringing more and more people from Tokyo, particularly families with children who come to take photos and collect the stamps. In addition to the stamps, passengers also receive a Pikachu badge! Pikachu looks so cool in his conductor's uniform! Note: The new Pokémon with You train operates on weekends, leaving Ichinoseki Station at 11:01, and arriving at Kesennuma Station at 12:51, before making the return journey at 2:37pm. 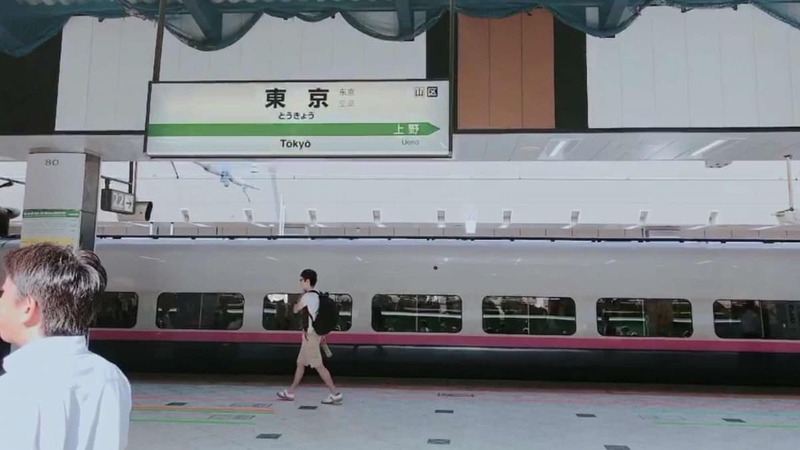 Tickets can be purchased up to a month in advance from the East Japan Rail Company's website, or "Midori no Madoguchi" ticket offices at stations. Lin shares the latest information on Japan through articles, videos, personal broadcasts, and more having garnered attention as a Japan-based Chinese blogger to watch, and has been featured in numerous Japanese articles and programs with over one million combined followers between a microblog on China's Weibo and a page on Yizhibo, a site for real-time personal broadcasting. Trains , Summer in Tohoku , TOHOKU I found it!